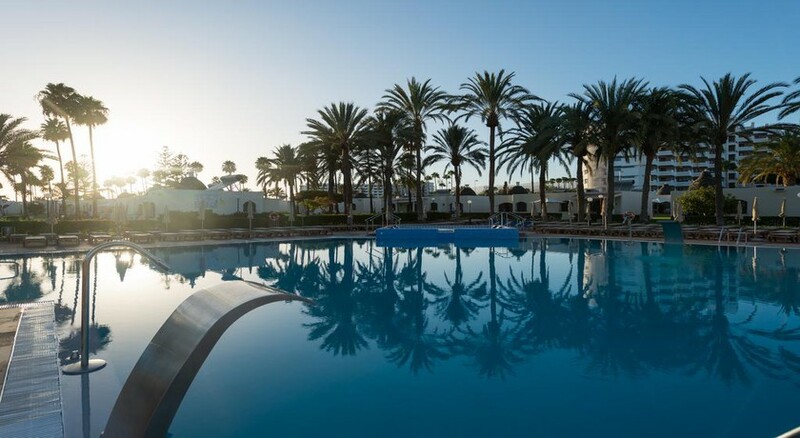 In the center of Playa del Inglés, in Gran Canaria, an emblematic area known for its incredible beaches, is located the Hd Parque Cristobal Gran Canaria, which presents a horizontal architecture with fully equipped bungalows set amidst lush gardens. It is ideal to enjoy a fun family holiday with entertainment programmes for children, water parks and slides. The hotel provides a varied gastronomic offer for all ages. 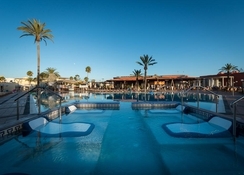 Among the facilities at the Hd Parque Cristobal Gran Canaria complex, guests can enjoy two huge heated swimming pools, with bubble beds and Thalasso jets, a large solarium with sun loungers and a children's water and games area. 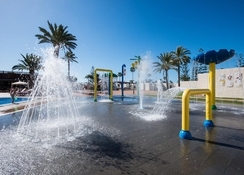 Hd Parque Cristobal Gran Canaria is situated in the centre of Playa del Inglés, close to the beautiful beaches of Gran Canaria, where you can enjoy water or sports activities, with a golf course just a few kilometres away. The Gran Canaria Airport is about 32km from the hotel. 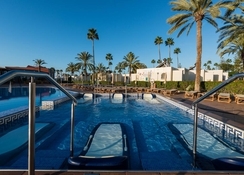 The bungalows at Hd Parque Cristobal Gran Canaria have a furnished terrace, a solarium with a tenter, one or two bedrooms, a living room, a full bathroom and a kitchen equipped with a fridge, microwave, toaster and a coffee machine. Room amenities at the hotel Include satellite television, telephone and ceiling fan. They also have children's kits with bottle warmers and bungalows for people with reduced mobility. The hotel has two restaurants, one buffet and the other gourmet. There is also a bar by the poolside. The hotel offers an on-site coffee house with a soothing ambience to relax as you sip on a hot cup of coffee. 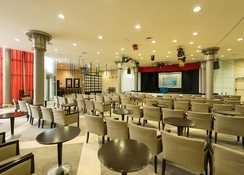 The hotel arranges for special menus on request, kids’ meals and a kid friendly buffet. The hotel has services such as transfers to the beach and the reception open 24 hours a day, as well as entertainment for children and adults, car & bicycle rental, laundry and themed buffets in the restaurant. 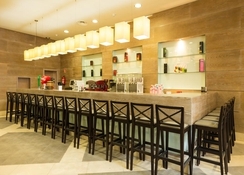 The hotel boasts of a bar, terrace, a gym with Jacuzzi, recreational areas with billiards or table tennis and parking.